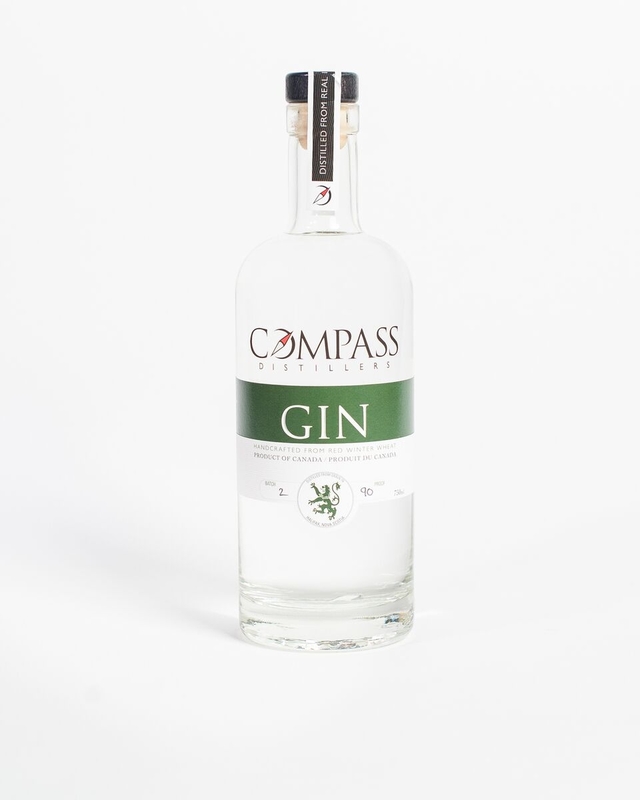 Compass Distillers is a craft distillery in the North end of Halifax, Nova Scotia. Only high quality natural ingredients are used and the product is nurtured throughout every step of its creation. Everything happens in the small distillery on Agricola Street; customers are encouraged to stop into the beautiful space, taste and learn about the distilling the process. The head distiller loves his job, and you can taste that in the delicious well made spirits that he crafts. The Gin is made from a base of 100% Nova Scotian wheat. Fermented, distilled, and bottled in small batches at the distillery on Agricola Street in Halifax. Distilled in a custom Vendome Still, Compass Distillers’ gin uses hand picked Nova Scotian juniper, cucumber, and cilantro, and other ingredients makeup the recipe. Drink it neat or on ice, or mix it with your favourite tonic or juice. It is extremely smooth and clean with dominant aromas and flavours of juniper and cilantro.